Now that we are entering fall and all the pumpkins and winter squash are in the stores, I feel it’s very important to remember their great health benefits. Many Varieties – Pumpkin is just one winter squash, this family also includes Butter Nut, Hubbard, Turban, Kabocha, Acorn, Spaghetti Squash, White Pumpkins, Blue Kokkaido Pumpkins, Cheese Pumpkins, Red Kuri Pumpkins, Sweet Dumpling Pumpkins, and other less know winter squash. Lots of Vitamin A – These orange fleshed squash have amazing amounts of Beta Carotene and Vitamin A. In fact they contain 300 times the RDA of Vitamin A. Low in Calories – With hardly any calories… (only 75 calories per cup) make them a great diet food. Fiber – Lots of fiber creates a wonderful place for probiotic bacteria to grow and boost your immune system and keep you regular. Diabetes – Winter Squash helps to regulate blood sugar levels and insulin production, and it also has a very low glycemic index. Which means it breaks down into sugars very slowly making it great for diabetics. 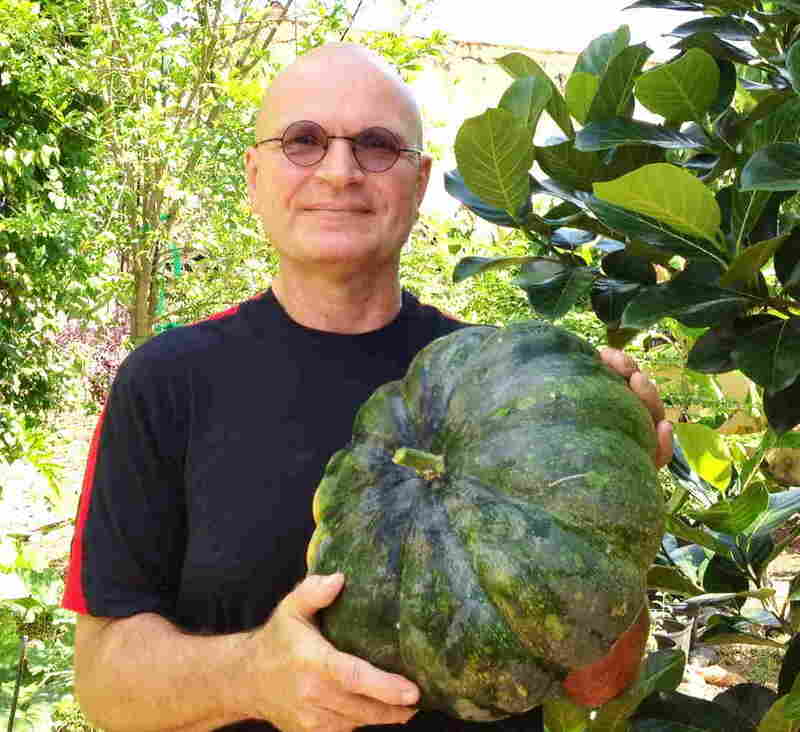 Cancer – Without oxidization cancer can’t take hold, and that’s why antioxidant rich foods like Winter Squash are very important for preventing cancer. Antioxidants – Winter Squash works wonders for staving off disease because they are packed full of lots of great antioxidants that protect you from colds, flues, cardiovascular disease, strokes, and even cancer. One cup of Winter Squash will give you over 18,000 micrograms of Beta Carotenoids a powerful antioxidant. Anti-Inflammatory – Winter Squash contains Cucurbitacin which is a powerful anti-inflammatory that helps to prevent diseases including arthritis. And because inflammation is the root cause of cardiovascular disease this means that Winter Squash can make a difference by curtailing cardiovascular disease. Antibacterial and Antiviral – And Cucurbitacin is a powerful antimicrobial agent working well to kill off all invading bacteria and viruses. Lowers Cholesterol – Winter Squash lowers LDL or bad cholesterol because it contains Cucurbita which prevents the formation of cholesterol. Contains – Winter Squash contains Vitamin C a powerful antioxidant, lots of B vitamins for prenatal health and vital energy, magnesium for preventing migraines, tryptophan for getting a good nights rest, Vitamin K to prevent excessive clotting, copper and iron for anemia, zinc for boosting your immune system, potassium for water regulation, manganeses for lots of great things including helping with depression and strong bones, and a healthy dose of fiber to promote probiotic development… and thus boost your immune system. Omega 3 Oils – Winter Squash contains great Omega 3 Oils that prevent cardiovascular disease and strokes. One cup of Winter Squash gives you almost 350 mgs of Omega 3 oils. Fat Free Food – Winter Squash is virtually fat free thus making it a great weight loss food. Skin – Did you know that foods that are high in antioxidants prevent premature aging of your skin? It’s true! And those little stringy inners of Winter Squash and the squash it self when blended together make for a very healing mask for getting rid of wrinkles and clearing your skin. Seeds – Pumpkin Seeds are full of Omega-3 oils, carotenoids, and also zinc which is good for the prostate, cardiovascular health, and for preventing diseases such as cancer. Pumpkin Seeds are anti-inflammatory in action and which is good for arthritis. Pumpkin Seeds are full of protein, magnesium, copper, iron, and manganese, Vitamins A and most of the B Vitamins… and phytosterols that help lower your cholesterol. Plus they are full of L-tryptophan which is good for depression, stress, and for insomnia. Plus Pumpkin Seeds in laboratory studies improves bladder function. They Store for Long Periods – You can store Winter Squash for long periods of time and they will still have all their nutrients. All you need is a cool dry place to keep them… and they will keep for 2 or 3 weeks or longer. Using Winter Squash – My favorite ways to fix Winter Squash is to pour on honey and sprinkle with cinnamon and bake in the oven. I love Curried Pumpkin Soup – pure and simple and it tastes great! Plus we add it to beans, casseroles, grated into all sorts of dishes… and even used in salads. Grow Your Own or Buy them at the Store – Winter Squash are easy to grow and will take over your yard. Or you can buy them at your local farmers market or super market. This entry was posted in Healing Herbs and tagged antibacterial, Antioxidants, antiviral, beta carotene, Cancer, Diabetes, Dr. Paul Haider, Healing, HH, Inflammation, lower cholesterol, Master Herbalist, omega 3 oils, plants, Pumpkin, Squash, vegan, vegetarian, Weight Loss, winter. Bookmark the permalink.